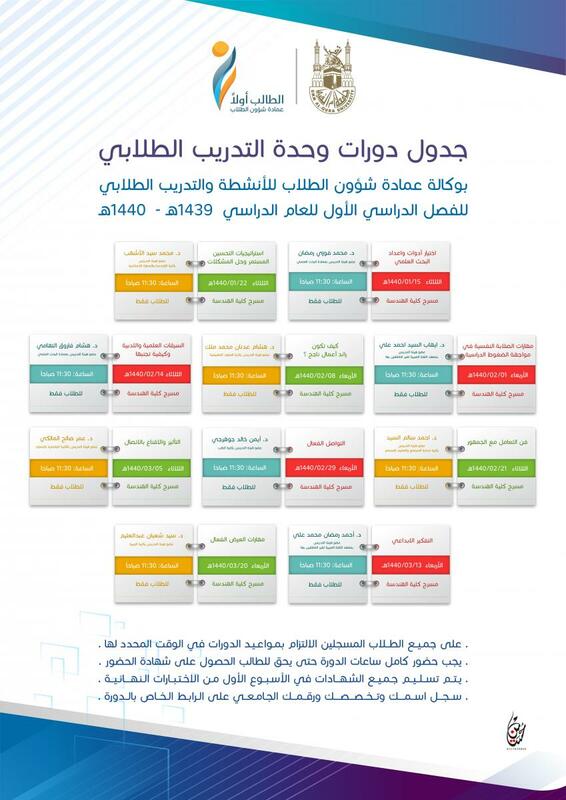 The Deanship of Students Affairs represented by the Students Training Unit announces providing of a number of training courses during the first semester of the academic year 1439/1440 H in cooperation with a constellation of faculty members in the university. The first courses will be started in the coming week. The curses are designed to hone skills of the students in various fields in the academic and practical sides.